Home - Top Stories - US Debt Crisis: Is a QE3 Necessary and Adequate? 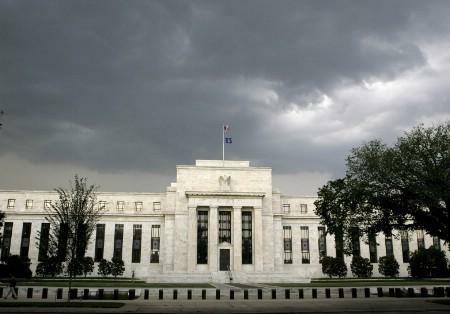 US Debt Crisis: Is a QE3 Necessary and Adequate? NEW YORK (ForexNewsNow) – As economic and political conditions continue to deteriorate, Moody’s Statistics decreased its estimate on US GDP growth to about 2% for the 2nd half of 2011. Obama is promising jobs, infrastructure investment and business innovation but analysts argue his room to maneuver is shrinking , as the Debt Crisis continues to weigh heavily on the US economy and as the President embarks on the re-election season with falling public support. Mark Zandi, chief economist at Moody’s Statistics, said that the economy is not adding enough jobs to maintain stable unemployment rate and forecasts that a million less jobs than formerly estimated will be created in 2012. Mr. Zandi also stated that the Feds decision to keep interest rates at record low levels through 2013 should help spur investment rates in the middle to long term. The results of QE2, whose finish in June coincided with the recent sharp decrease in global marketplaces, continue to be the subject of much analysis and questioning. Numerous analysts appear hooked on the principle that QE will help, yet others argue that it only will only offer temporary benefits followed by longer term problems. The main reason behind the belief that the Fed will act soon to introduce new quantitative easing measures is the ongoing lack of strong economic growth in the country. US GDP increased by an annualized rate of around 0.8 percent within the first half of 2011 and several strategists have underlined that each time it’s been below the “stall speed” of two percent – in recent years – an economic depression has ensued. Furthermore, marks from the economic crisis continue to be visible, with lots of Americans either too afraid to borrow money because they have been burned previously, or because they have effectively barred themselves from obtaining new financial loans by defaulting on their mortgage loans. This is why a 3rd bond-buying program by the Fed should resume by the end of 2011 or in early 2012, Goldman Sachs analysts forecasted in a report published on Wednesday, August 10th.